As we are nearing the Google Developers Conference which is better known as Google I/O, more rumours are popping up regarding the 7 inch Google ‘Nexus’ tablet saying that the company wants to compete in the already congested and Apple ruled tablet market. Today, a ‘trusted source’ of TechnoBuffalo is saying that the Nexus Tablet is indeed being built by ASUS for Google and it might get unveiled at the Google I/O on June 27th next month. The shipping date which is expected to fall in July, about which we have heard before, goes on to collaborate with the June unveiling. It is also being said that all the developers who attend the Google I/O will receive a ‘Nexus’ Tablet each. On the other hand, the source is hearing ‘conflicting reports’ of the tablet arriving with the next iteration of Android OS, the Android 5.0 Jelly Bean. We do know that the current version, Android 4.0 ICS is still way behind from reaching the current devices and so Google unveiling the next Android OS version is indeed a cause of worry but we do know that Google is capable of developing and releasing the next OS within a year than the previous version. 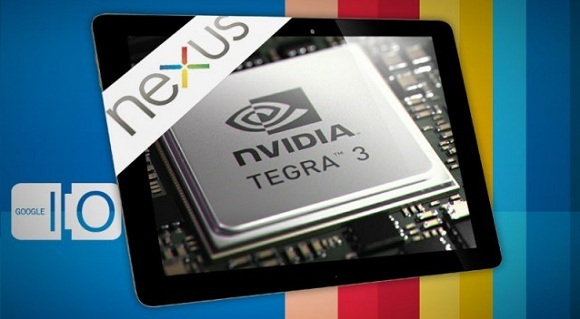 The close source also seems to confirm that the Google tablet will arrive with NVIDIA’s quad-core Tegra 3 processor instead of a dual-core one, which would be a treat for users and also within in reasonable price tag anywhere around $200, thanks to Nvidia’s new platform ‘Kai’. About a month to go and we’ll know more about Google’s plans related to the tablet, Android Jelly Bean and also about the rumour of 5 Nexus devices with 5 manufacturers to mark the 5th birthday of the Android OS in November.